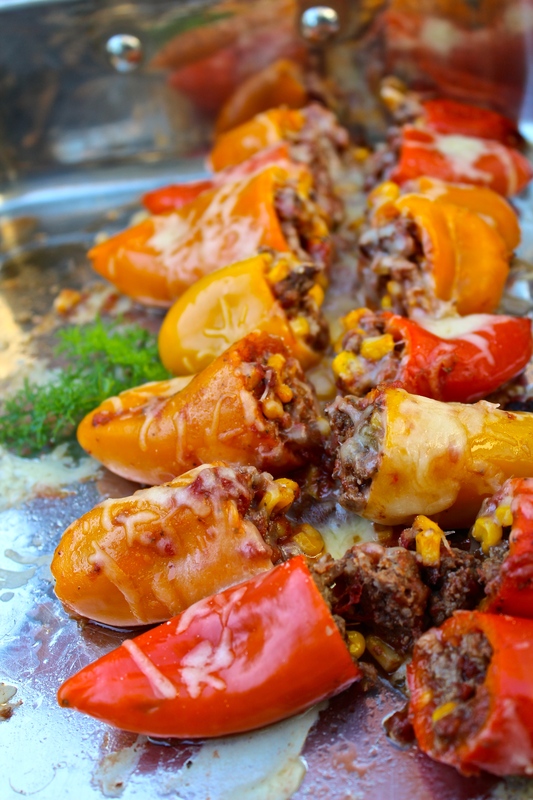 Here is another recipe-free dinner…taco-stuffed peppers. To make them yourself, sauté a pound of organic ground beef in a pan with some garlic and olive oil. When browned, add a bag of organic frozen corn and a jar of your favorite salsa. Cut the tops off of some mini peppers and stuff them with the taco meat. Sprinkle cheese on top and bake in the oven at 350 degrees until the peppers are soft and the cheese melts. On day 73 of this 365 day project, I ate my daily five (including a strangely delicious cilantro-jalapeno-red onion salad). Did you enjoy yours?